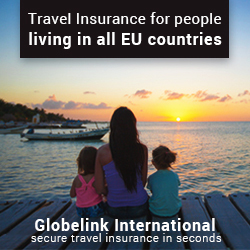 Do I Need Travel Insurance to go on on overseas holiday? Travel Info » Do I Need Travel Insurance? — Can I get away without it? Do I Need Travel Insurance? ?…that is the question! 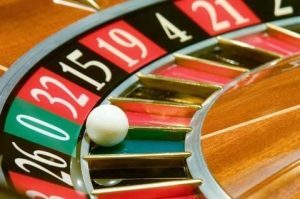 In a nutshell…Going overseas without sufficient travel insurance, is basically one big GAMBLE! How lucky do you feel that you wont have an accident, or require some form of medical treatment?…Do you really want to put it to the test? Many people go on holiday without incident. They probably also live their day to day lives without breaking their legs or contracting a debilitating virus. That’s all well and good, but you have to consider the increased risk when travelling. When you undertake any form of overseas travel, there is a good chance you will be partaking in different and more varied activities than normal. Most travellers try to cram in as much as possible during their travels, so as not to waste the opportunity. Exposed to more traffic, more people, more incidents and more risks. This may sound like a health and safety lecture, but its just a simple conclusion. Travellers generally face more risk. In the event of an emergency will you have sufficient coverage? Without medical insurance it is highly unlikely you would be refused emergency treatment in most countries. But you would be charged and for non-emergency treatment you will probably be charged in advance. This is pretty common procedure, even with insurance. It will be your job to claim the money back after the fact. Let me give you two examples, of travellers who have required travel insurance for very different reasons. a brilliant time, the people were very friendly, the food and wine terrific, and the landscapes incredible. On the last night of their trip, Ryan had one too many Malbecs and was hit by a Taxi while trying to cross at a “pedestrian crossing”. Luckily for Ryan he was fully insured with an excellent insurance company. They respected the fact he had a couple of drinks, but was not drunk, and that the dangerous driving of the Taxi was most likely to blame. He had his full hospital costs reimbursed, and they purchased him extra seats on the plane to rest his bandaged and cast leg. I would like to point out here, that some insurance companies will try and wriggle out of claims if they think you have been abusing alchohol or any drug for that matter. IMPORTANT: You should keep that in mind when drinking, and check your insurance carriers policy on alchohol consumption. The second case, did not end so well, and is a very sad affair. An acquaintance of mine, Sam, was travelling in Thailand. He had a history of mental health issues and self harm. Sam committed suicide by jumping from a bridge, after taking tranquillisers. A terrible outcome for his family and friends. Unfortunately, Sam was not insured. This may seem irrelevant now that he has died, but in fact it became even more relevant in his death. Without insurance Sams family were left with a £15,000 bill to repatriate his body. Without paying the £15,000 he would have been buried in Thailand with a state funeral. I cant imagine what frame of mind Sam was in, but I doubt “do I need travel insurance?” was on his mind. People dont consider the financial burden for thier families. Not only do they have to grieve for their loss, but come up with £15,000. Which is a lot of money to your average person. The highest cost of repatriating a body to the UK is upwards of £17,000 from certain parts of Asia. Another point to add here, is that even if Sam did have insurance. It is possible his insurance carrier would have rejected any claim on the grounds he took his own life. Suicide is not covered by many insurance policies. In the end a crowd funding appeal from Sams friends managed to raise the majority of the money. He was a popular and well liked lad, and everyone chipped in to bring him home. So, you see. you may decide to gamble, and if anything happens you will accept the consequences. But remember, if something very serious happens, you could leave your family in serious financial trouble. I can safely say I urge EVERYONE to take out the correct insurance cover. Remember to check your policy details thoroughly before committing. Your medical history is fully disclosed, especially any existing conditions. 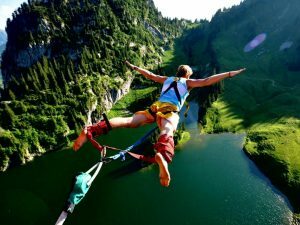 If you are undertaking any dangerous sports (climbing, parachute jumping, bungee jumping etc), make sure they are covered in your policy. Check the travel advice of your government regarding foreign countries. If they advice against travel to your location, then most likely your insurance is void. Ensure the length of you trip is covered. Make sure you have sufficient cover for your personal belongings. Expensive individual items may require extra cover. 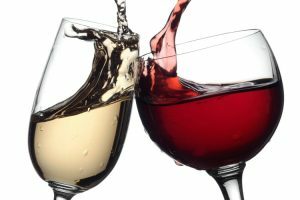 Check your insurers alchohol and drug policy. You dont want to void your insurance by abusing too much alchohol. Your insurer may also look at your doctors records for a history of alchohol abuse. Do I Need Travel Insurance?? ….the answer is unequivocally YES!!! I hope you wont need your insurance, but better safe than sorry.